These are the questions we get asked most. Do I have to pre-book or can I just turn up? Yes, you do need to pre-book at least a few days before you plan to shoot because we need to arrange instructors and book transport to and from the range for you. For larger groups wishing to shoot at the weekend, especially during summer, its recommended to book at least 4 weeks before to guarantee a slot. Can we pay in full when we get to the shooting range? We require a £20 or €25 per person non-refundable deposit when you book, and then you pay the remaining balance in cash in local Czech currency to staff when you arrive at the range. The deposit forms part of the total payment for the event therefore is not refundable after the event. We are also happy to accept pre-payment for groups preferring not to handle large amounts of cash on the day. If the time and date slot requested on your booking form is still available then we will email you a link to an invoice on a secure website that allows you to reserve the slot using a credit card or debit card. If the slot is not available then we will email you offering some alternative time slots. There is no additional charge for paying with a credit card. We do not accept American Express or Maestro cards. Can we drive to the shooting range in our own car? The range is difficult to find because it does not have a conventional street address and it is located in a forest north of Prague. This involves driving along some rough un-signposted gravel tracks, so we do not recommend driving there in your own car. Our professional transfer service from central Prague is included in the price for all of our packages and this will save you the hassle of finding the range and potentially missing your slot if you are late. However, if self drive is the only option for you and your group agrees to take full responsibility to find the range and to arrive on time in one vehicle then we can send you directions and GPS coordinates (not a conventional street address) so that you can organise your own transfers once you have confirmed the booking. Please note that if a self-drive group arrives later than the agreed start time then we may need to either cancel the booking without refund or ask the group to wait until the next available slot on the day (this may involve waiting for up to two hours before a slot becomes available). We do not offer any discount for driving to the range in your own vehicle. Can I have a mixture of different programmes within my group? Our shooting events are organised as group competitions (with group score sheets, certificate for the winner etc.) so that you can all compare your individual scores at the end. Unfortunately this means that it is not really practical to mix up the packages within a group. It could also mean splitting your group up to different parts of the range and more individual waiting time so would not be as much fun. It works out much better to choose one shooting event that everyone can afford (like our 4 Guns Contest, or the Big Five), and then those with more interest can shoot some extra guns at the end including guns like the Desert Eagle and .44 Magnum. This way you will get a group shooting contest, plus the flexibility for individuals to try different guns at the end. Can we swap guns in the packages? We only offer the advertised programmes. It is not possible to swap guns around within a programme, but if you require more flexibility it may be better to book one of the smaller packages and then shoot some extras on an individual basis at the end (extras price list). My friend’s don’t want to shoot. Is it OK for them to come along as spectators? Yes, we welcome up to a maximum of 2 spectators per group. You will need to tell us in advance if there are any spectators so that we can send the correct size of vehicle. There is a £20 or €25 charge per spectator which is payable at the time of booking. This covers transfers to and from the range, and refreshments whilst at the range. Whilst it is OK to add one or two people as spectators if there is some special reason for them not taking part, our shooting events are not really suitable for large numbers of spectators and we find that this is often a distraction for those shooting and is not very interesting for those watching. Therefore we limit the number of spectators to 2 people per group. If more than 2 people in a group do not want to shoot then it may be better for them to plan some different activity for a few hours and then meet up after shooting back in the town centre. I am on my own. Can I still shoot? I am afraid our shooting packages require a minimum of two or more people because they are organised as competitions and this is a major element of the programmes (score sheets, certificate for winner etc). Unfortunately, it is also not practical to add one person to an existing group booking because these larger groups usually require exclusivity, especially for the transfers and the competition element (e.g. stag party, company team building event etc). 18 years old. It is also possible for younger guests (from 13-17 years old) to shoot or spectate if accompanied by a parent or legal guardian and at least 72 hours notice is given prior to them shooting. Minimum of 1 parent/guardian per two under 18s. For legal and safety reasons it is not possible to bring children under the age of 13 to the shooting range, even if they will not be shooting and will have a parent with them. Sorry. Do you offer any anything special for the stag/hen? We do not offer any special packages for the stag/hen as such, but there is an opportunity to rent some more exotic guns for him/her at the end of the main group event (our .44 magnum and .50 Desert Eagle are probably the most popular). For prices and a list of the more exotic guns in the armoury please see our extras price list. Is it OK to wear fancy dress to the shooting range? Yes most typical stag and hen fancy dress outfits will be fine. The only restriction on fancy dress is no terrorist or military themes to the fancy dress please. Anything else should be fine. If in doubt let us know in advance. Also bear in mind that the range is outdoors, so for example a full gorilla suit in August when its 35 degrees Celsius or a mankini in January when its minus 10 degrees Celsius may not be the best choice of team outfit! Is it OK to take photos/video? Yes, we are happy for you to take your own photos and video. Please note that photos and video must not breach any range safety regulations and we also ask that you do not take any photos that include the faces of instructors or other range staff to respect their privacy. If in doubt check with your instructor first. I’ve never fired a gun before. Do I need a gun licence etc? For safety reasons all of our shooting events assume zero knowledge or skills with firearms. Our events are designed to give non-shooting customers a really positive introduction to target shooting.  Since 2004 over 40,000 visitors have attended Top Gun Prague events. The vast majority of these people had never shot a gun in their lives. What do I need to bring to the range? What to wear? All you need to bring is valid photo ID (e.g. passport) and wear appropriate clothing for the time of year (e.g.shower proof jacket April-Sept, and a warmer coat Oct-March). Shorts and T-shirts are probably the most practical choice in the summer when its hot. Eye and ear protection is provided at no additional cost at the range.